With the prices of new cars being what it is today, getting a pre-owned vehicle for a more manageable sum can seem like a smart move financially. However, the many unknowns associated with getting a used car make the entire buying process a complicated proposition. That’s not all, any purchase solely based on your whims could set you back financially for a while, especially when you’ve ended up with a dud of a car. This is where a little research and knowledge can help you go a long way in making the right choice, whether you’re getting the vehicle from a recognized dealership or a private seller. So, if you’re in the market looking out for a used car that will serve you just as well as a brand-new vehicle, here are 6 things you should consider before you buy one. Before you start your search for that ideal vehicle, it’s important to know what you want. For starters, take into account what you’re looking to spend, how many people you’ll want to fit in, and the kind of car you’re looking to get – coupe, convertible, cabriolet, sedan, SUV, or an MUV, among others. You can also look at vehicles with features that you’d want – heated seats, AC, variable driving modes, adjustable suspension, etc. The best place to start such research is online. You’ll find plenty of websites that list out vehicles based on various parameters, including the make, model, features, running condition, and buying price. So, before you head over to a pre-owned vehicle showroom, be sure you know what you want to get. Once you’ve set a buying limit and decided what kind of car you’re planning to get, don’t let anyone coax you into buying something you don’t want to. Whether you’re at a dealership or interacting with a private seller, keep in mind to never disclose your budget as it gives you more wiggle room while negotiating the final price. Another important step to buying a used car is to check it completely so you know what you’re getting. To begin with, always inspect the car in daylight. This way, you’ll be able to spot every nick, scratch, cut, dent, rusted part, or damaged components before you even drive it for the first time. Once you’ve done your personal checks, it’s time for you to get a professional help to check things that you don’t know about the car. 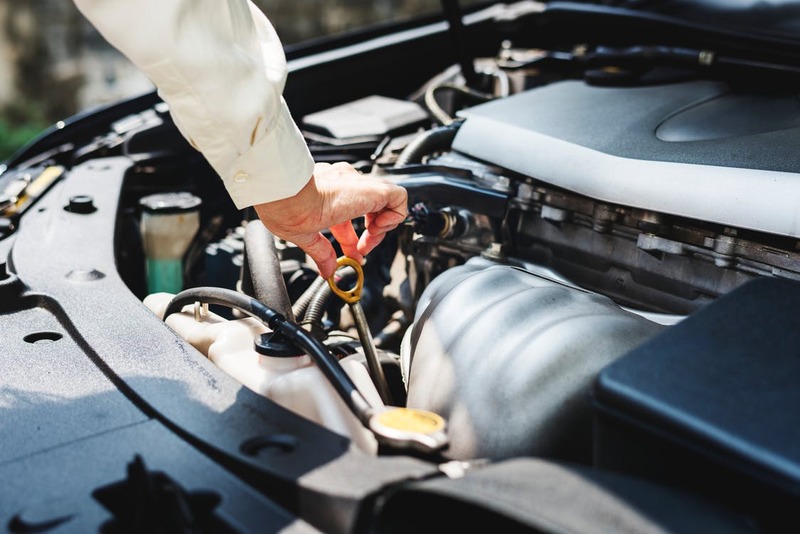 A professional mechanic will inspect the entire vehicle for faults and run diagnostic checks to see how good the car really is. A dependable mechanic will even be able to provide you with a ballpark figure of what the car should really cost. This way, you’ll know if you’re being taken for a ride. Now that you’re aware about the vehicle’s condition, it’s time you know how it feels when you actually put it on the road. Take the car for a spin and see you’re able to notice anything off. For instance, if the vehicle is swerving towards either direction without you intending to, there could be a problem with the steering or transmission. While you’re out on a test drive, keep in mind to also inspect the tyres, the transmission system, engine running condition, and braking system. Accelerate and decelerate as often as possible to see if it’s all good. Always make sure that the used car is not a stolen one. Check whether the insurance papers, tax receipts, the registration certificate, and the likes are legit or not. This is why it is always recommended to approach a verified or well-known second-hand car dealer. To sum things up, buying a pre-owned vehicle takes just as much time and effort as buying a new one, if not more in some cases. In addition to the above steps, you should also take a look if all the vehicle documents are in order and run a vehicle history report. Most importantly, you’ll need to have your financing options handy. This is where financial product comparison platforms can be extremely useful. You’ll have plenty of car financing options to choose from. In addition, you’ll find plenty of information related to buying used vehicles that can come in handy.